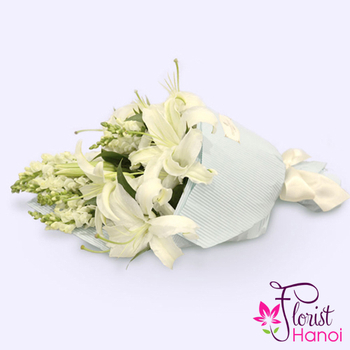 This beautiful white snapdragon and lily bouquet of white flowers is an elegant way to send thank you flowers, birthday flowers, or just because flowers. 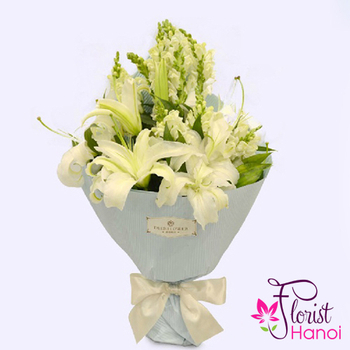 Hand-delivered by a local florist this lilies and white snapdragon bouquet is a breathtaking floral centerpiece for many occasions. 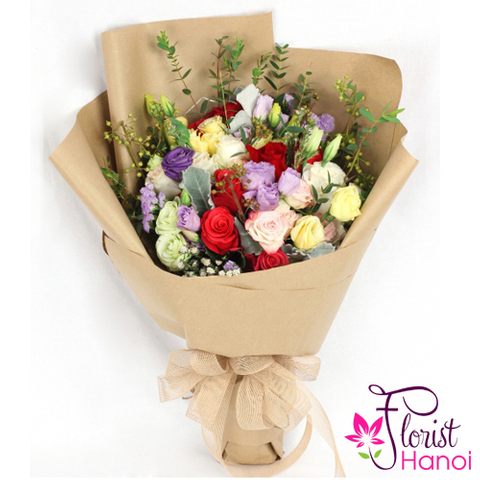 Have thank you flowers delivered today or send flowers as a sympathy bouquet for loved ones. 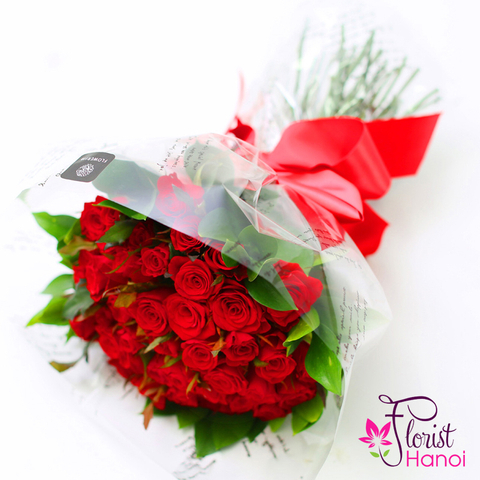 White flower arrangements express purity and also hope. That's why they work well for many occasions. 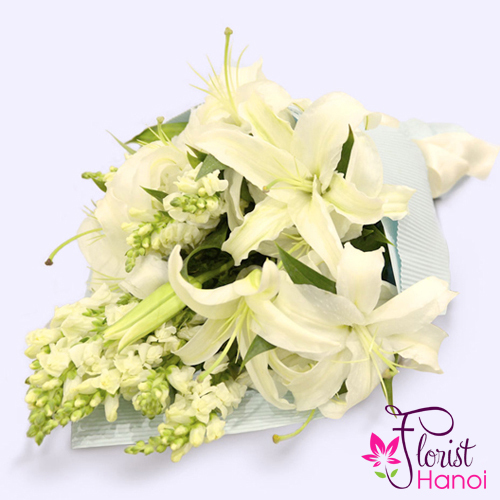 Send flowers to someone today and brighten their surrounding with white lily flowers mixed with exotic white snapdragons and asiatic lily flowers.